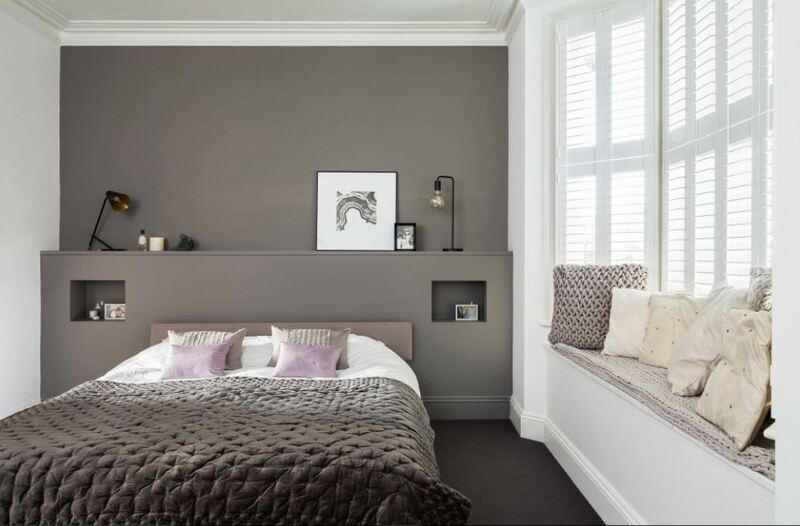 Here are some simple ways on how to make the most of a small bedroom. Make use of all the available space to make it look bigger and beautiful. 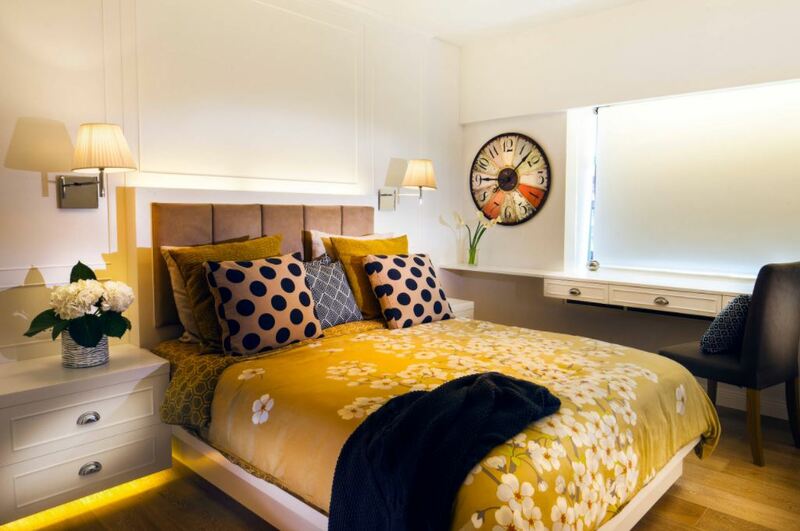 When designing a small bedroom you need to keep its size in mind while buying furniture. Go for small, light and leggy furniture or the small bedroom would end up looking stuffed. 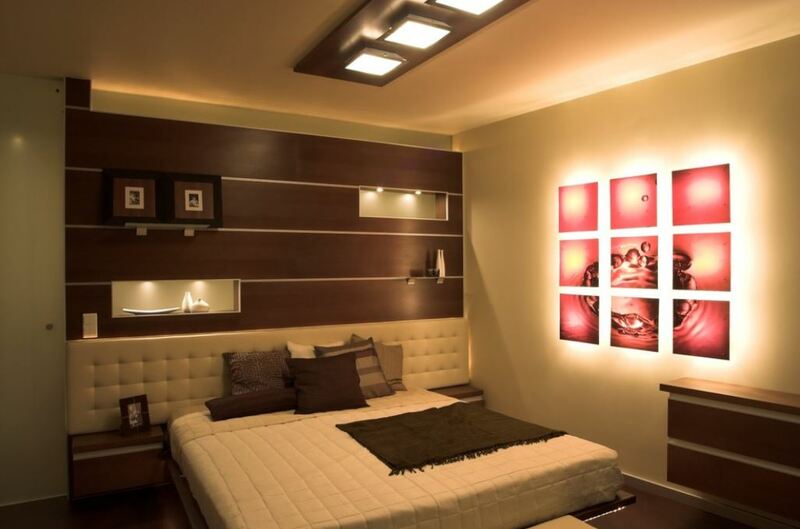 Use mirrors, art work, accent wall and lighting to create visual distraction in your small bedroom. Use light color palette in it to make it look bigger. 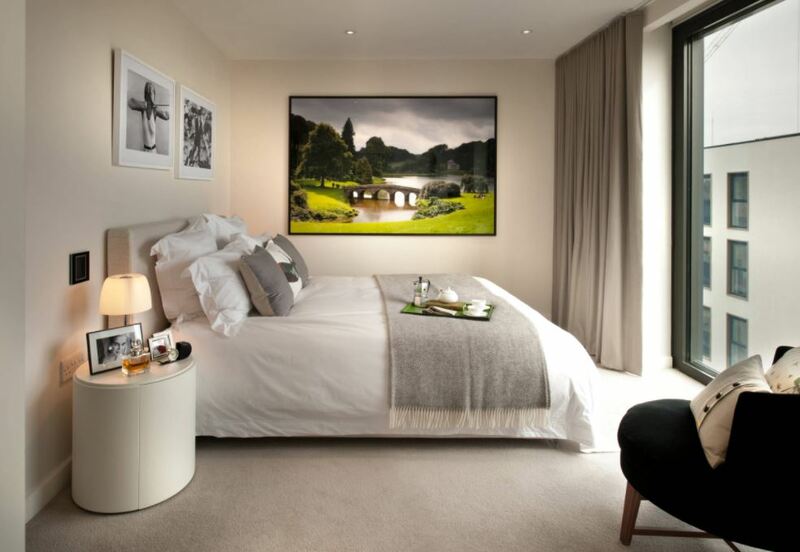 Check out our ideas to help you out on how to make the most of a small bedroom design. Go for an all white decor for your small bedroom. Hang sheer white curtains instead of heavy drapes to make the room look more open and airy. If you can’t add chairs to your bedroom then plan a window seating. You can use the bottom space for storage. I love the niche in the wall, no need for night stand. Go for a ceiling high headboard. The room has French windows which allow a lot of light and air to enter the bedroom. Put a small bench at the end of the bed. 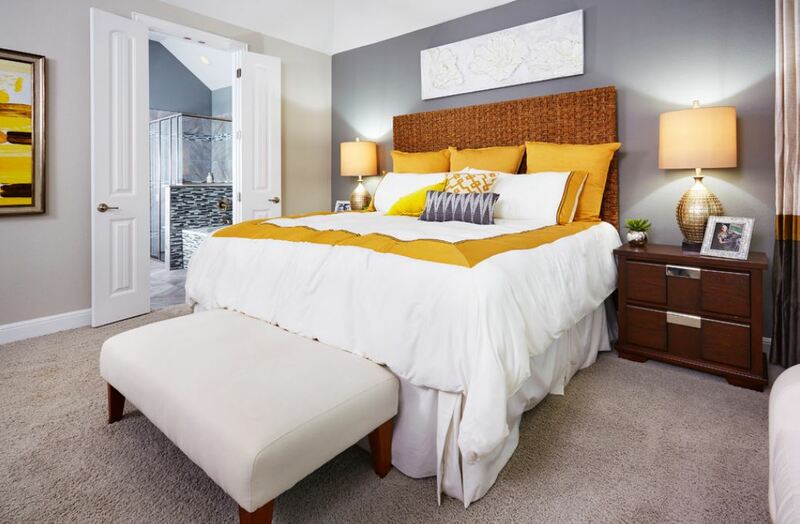 Add color to your bedroom to make it vibrant and lively. 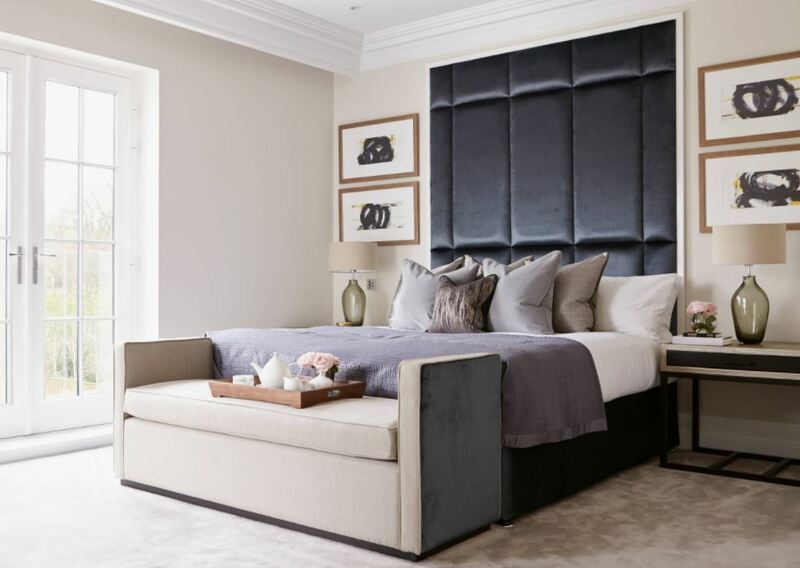 The door in this bedroom opens up and folds along the wall; this gives uninterrupted access from one end to the other. Light up your small bedroom to add drama to it. 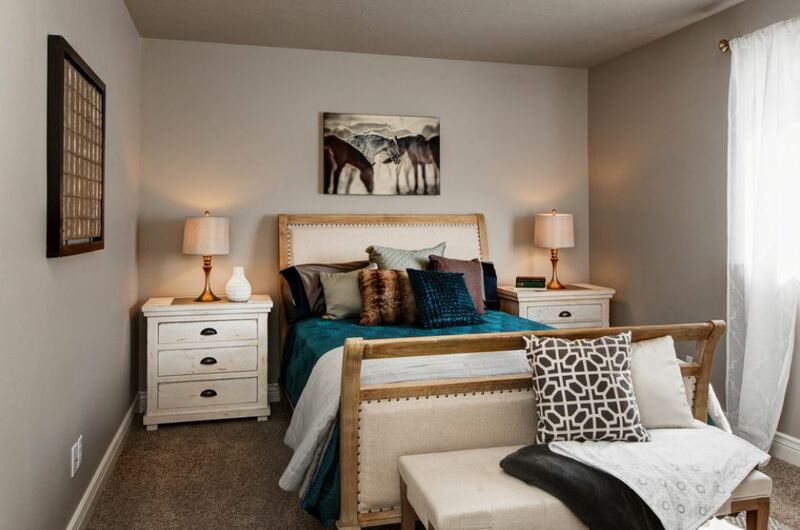 Go for a nice headboard and use floating tables on either side of the bed for storage. Keep the small bedroom design sweet and simple. This makes the room look elegant and clutter-free. 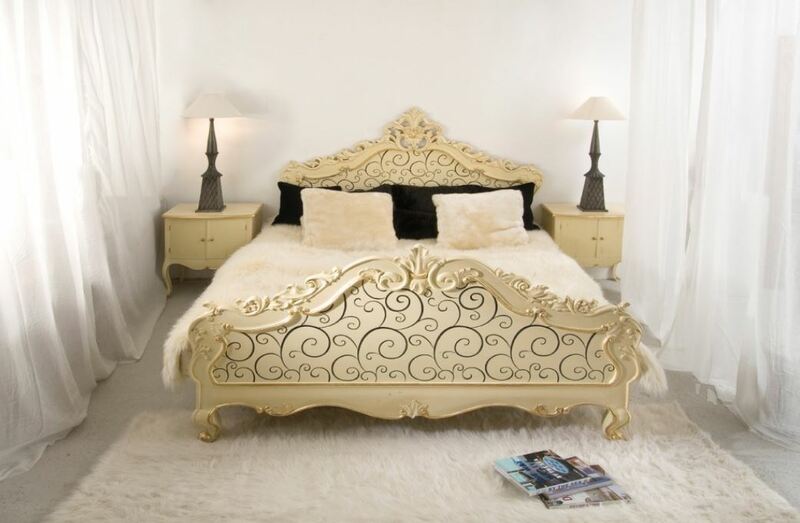 Go for a four-poster bed and leggy bench. Buy furniture that would fit into your small master bedroom. Never buy big bulky furniture that take up lots of space and leave you gasping for air. A clever layout can save your bedroom. 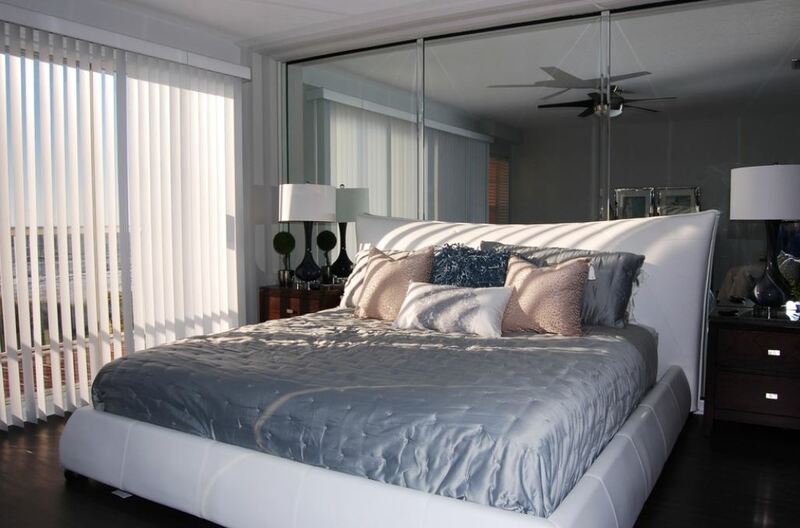 Place the bed facing the sliding glass doors to catch that gorgeous view. There is a TV hidden behind the curtain – interesting, isn’t it? 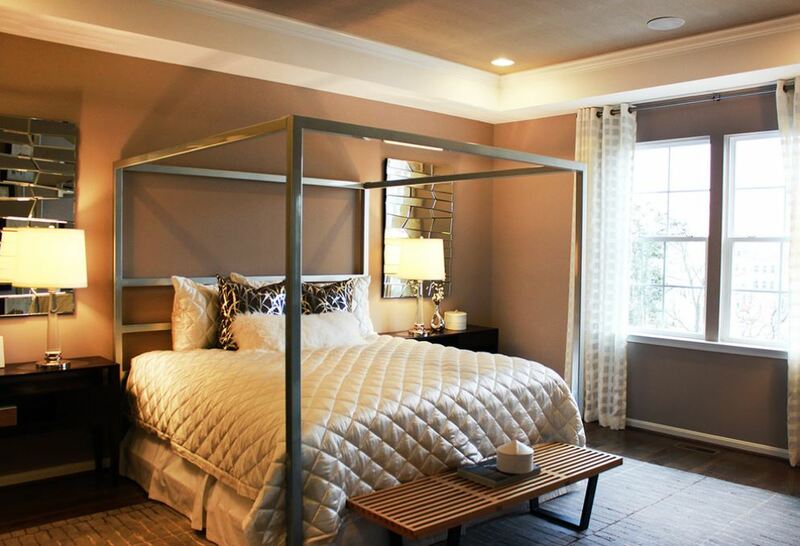 Check out this bedroom with a mirror accent wall. Mirrors create an illusion of space; cover the wall behind the bed with mirrors to make the room look bigger and brighter. Design floating night stands and a desk in your bedroom. Go for wall mount lamps to save space. Use calm neutral tones to get this amazing look. This entry was posted in Bedroom, Bedroom Designs and tagged How to Make a Small Bedroom Bigger, How to Make a Small Room Look Nice, How to Make Room in a Small Bedroom, How to Make Small Bedrooms Look Bigger, How to Make the Most of a Small Bedroom, Small Bedroom Decorating Ideas on a Budget, Small Bedroom Design, Small Bedroom Designs, Small Bedroom Designs Ideas, Small Bedroom Furniture, Small Bedroom Hacks, Small Bedroom Ideas, Small Bedroom Layout, Small Bedroom Storage Ideas, Small Master Bedroom Ideas, Tiny Bedroom Layout Ideas, Where to put Bed in Small Bedroom by Homemakeover. Bookmark the permalink.